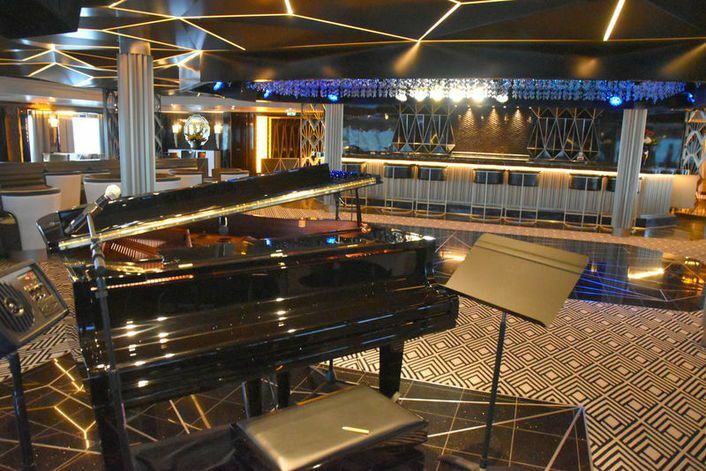 Regent Seven Seas have recently launched their latest cruise ship – Seven Seas Explorer, heralded by them as “The World's Most Luxurious Cruise Ship”. I was invited on for 6-nights to see for myself if the hype lived up to the reality. 552 - The number of crew members catering to the needs of only 750-guests, giving a low 1.36 guest-to-crew ratio. 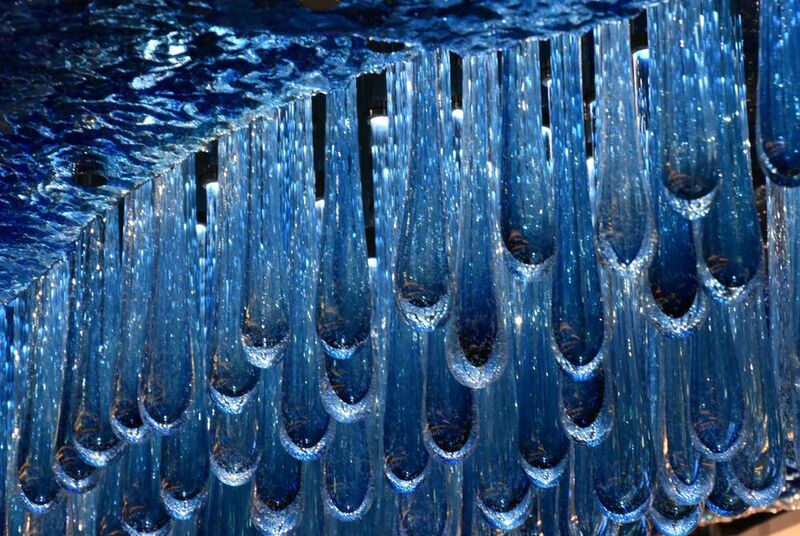 158 - The number of crystal chandeliers found throughout the various restaurants, lounges and other public spaces. There are also 97 crystal chandeliers found inside the larger suites and another 218 in the corridors. 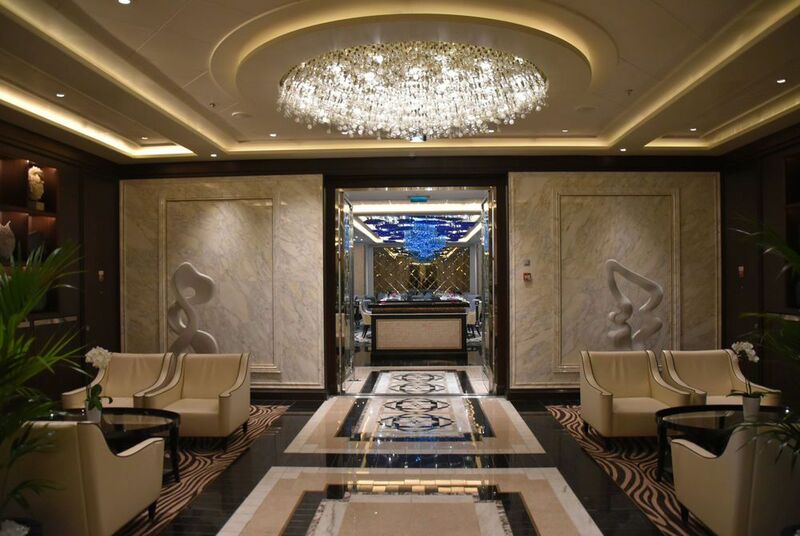 45,876 sq ft - The amount of marble found throughout the ship, including the bathrooms in each of the 375 suites. That’s nearly an acre! 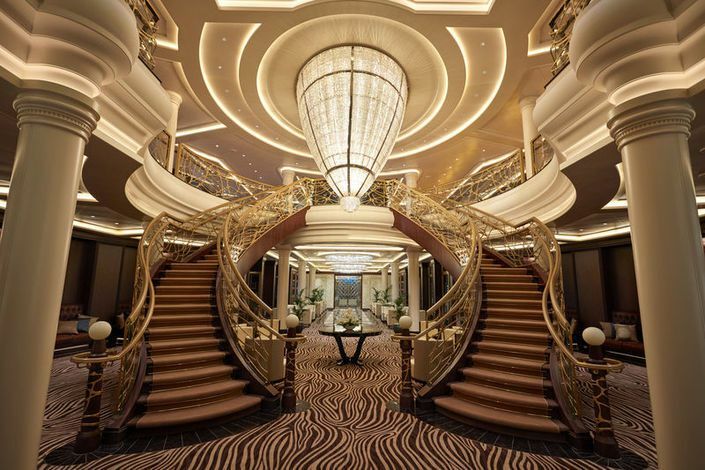 51,909-square feet - The total amount of balcony space found on the Seven Seas Explorer. 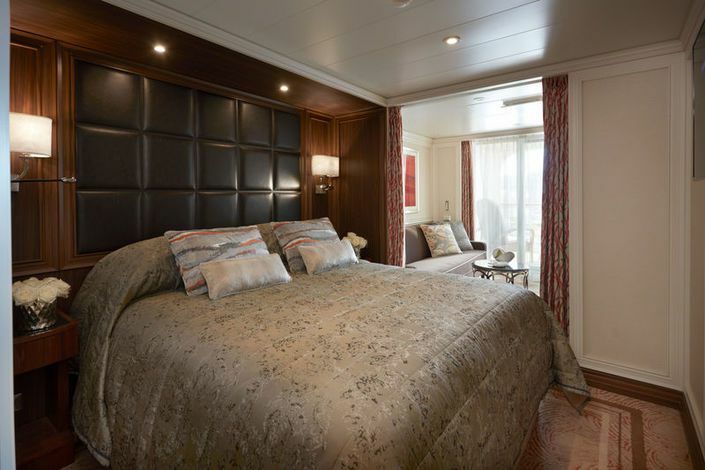 Every suite features a balcony – there are no inside cabins or cabins with just a window – everyone can enjoy a veranda! 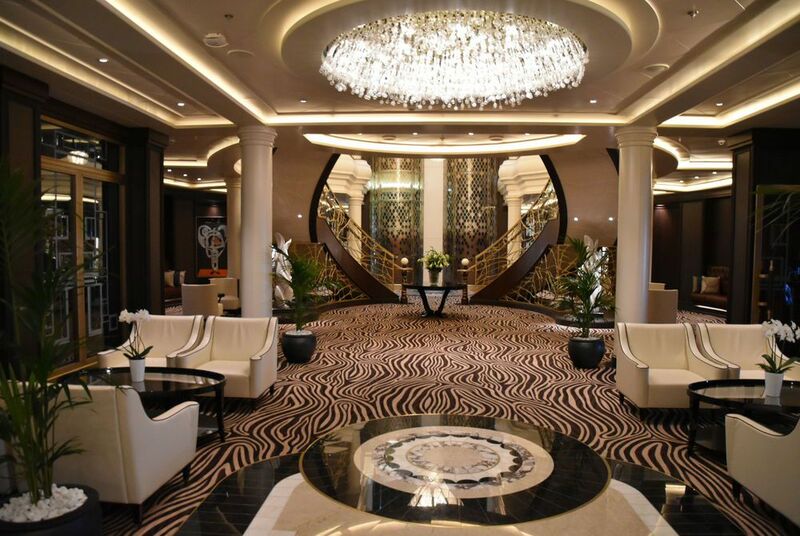 This equates to an average of 138-square feet per suite, the largest in the cruise industry. $150,000 - The amount spent on the luxurious Savoir No. 1 bed found in the Master Bedroom of the Regent Suite. The mattress alone costs $90,000. 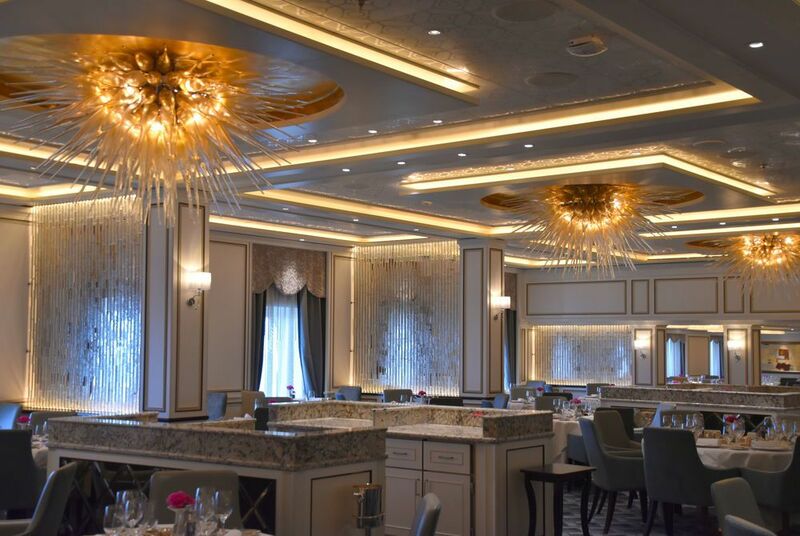 3,875 sq ft - The size of the ship’s largest accommodation - the Regent Suite. It features two bedrooms, a living room with a custom-made Steinway piano, a private spa with personal sauna, steam room and unlimited complimentary spa treatments, and an exclusive vista garden with floor-to-ceiling views of the ocean. 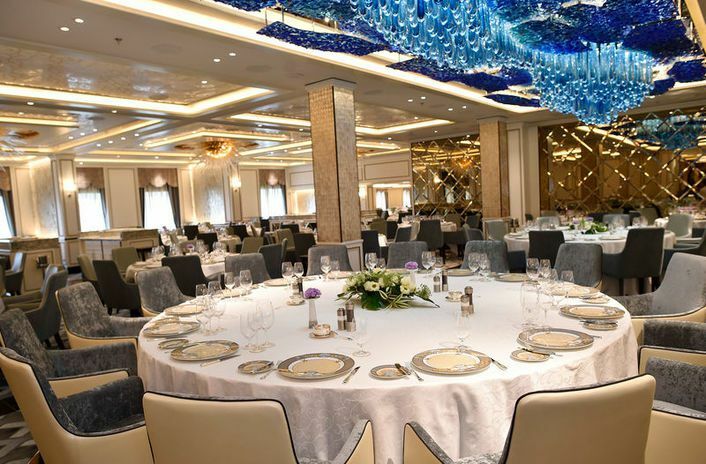 400 - the number of exclusively designed Versace plates and crockery found at the Compass Rose restaurant, the ships main dining room. I was onboard from Rome to Barcelona – what was nice about this itinerary was the fact we were in port until quite late on a number of days. We arrived a little later than the rest of the guests, and there were no queues or lines at check in. We dropped off our cases to be screened and delivered to the suite and then checked in at another desk. All we needed was our passports and we were done within a few minutes, nice and easy and quick. 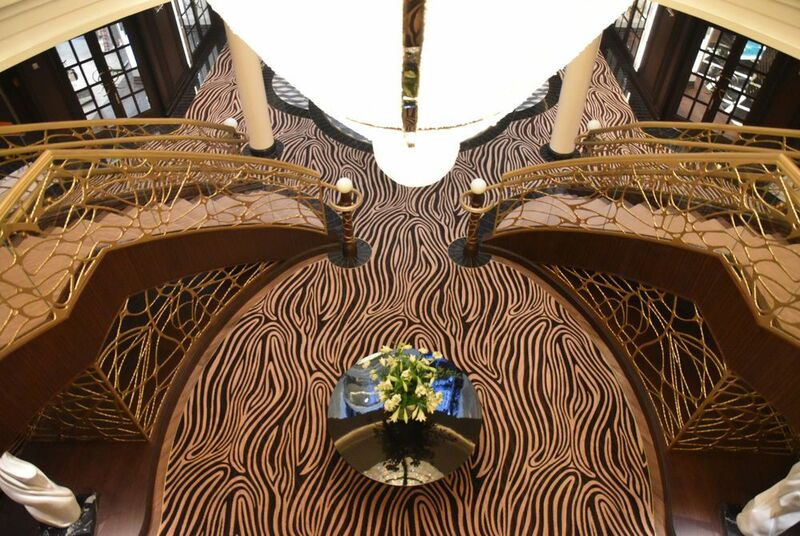 After walking up the gangway of Seven Seas Explorer we were greeted by a smiling crew member offering a glass of champagne. 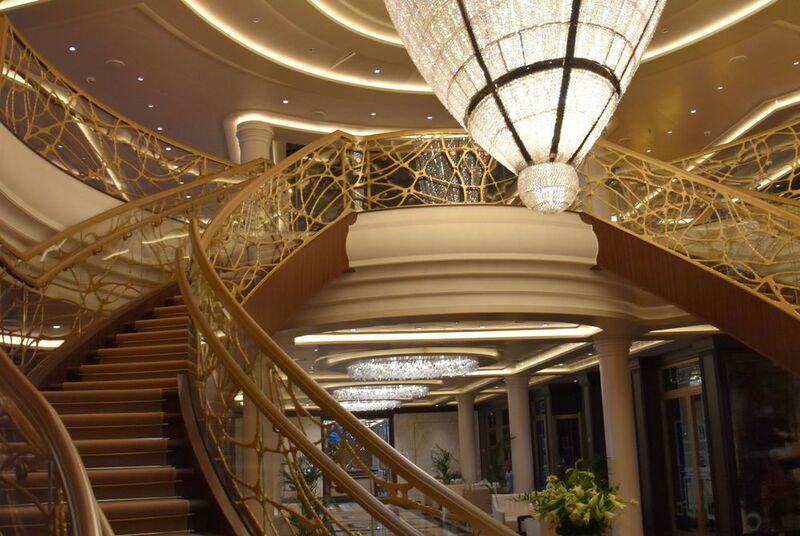 We embarked on deck 4 and were stunned by the opulence of the luxurious atrium, but what stole our attention was the magnificent chandelier suspended from the ceiling, a real WOW moment that set us up for the rest of the voyage. 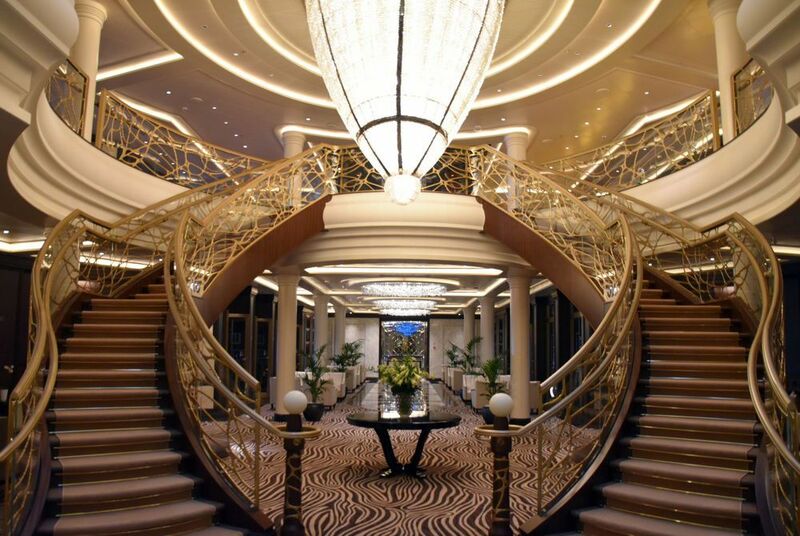 We were directed to our suite on deck 6. We were in a Deluxe Veranda Suite, Grade G2, measuring 253 sq ft with a 55 sq ft balcony. The suite was very spacious and what really impressed me was the amount of electrical sockets there were. Two on each side of the bed along with two USB ports, one more plug by the side of the bed and four more plugs on the counter. Not enough plugs is a real bugbear of mine so it was great to see so many sockets to keep all my gadgets charged!. The flat screen tv is opposite the bed and has an extensive selection of movies on demand, TV channels, music, the view from the bridge, plus an electronic itinerary where you can see all your pre booked items such as shore excursions and dinner reservations. It's fixed to the wall so you cannot angle it towards the sitting area which was a bit of a design flaw. Two thick curtains separate the bed from the sitting/living area. You can enjoy in-suite dining too if you wanted. The walk in closet had heaps of drawers and hanging space, and a safe for your valuables. The bathroom featured a walk in shower with overhead rain shower and hand held attachment, along with shelf space for the included L'Occitane amenities (a special blend for Regent). Although our suite was lovely, for not much more money (about £150 pp on a seven night cruise) you can travel in a F2 Grade Superior Suite. These are much larger at 332 sq ft with a 132 sq ft balcony, and the bed faces the window and veranda. This wider configuration provides more space for the bathroom and closet. In fact the walk in closet was almost twice as deep as in my suite, and the bathroom had twin sinks, a bath tub plus seperate shower - really worth the marginal extra charge in my opinion. Being rather hungry we headed straight to the pool grill for a bite to eat. I tried the tuna wrap which was very tasty and came with fries which was a nice surprise (I was trying to be healthy but those fries were too tempting). A few glasses of complimentary champagne to wash it down with then it was back to the suite to unpack the cases, then it was boat drill. 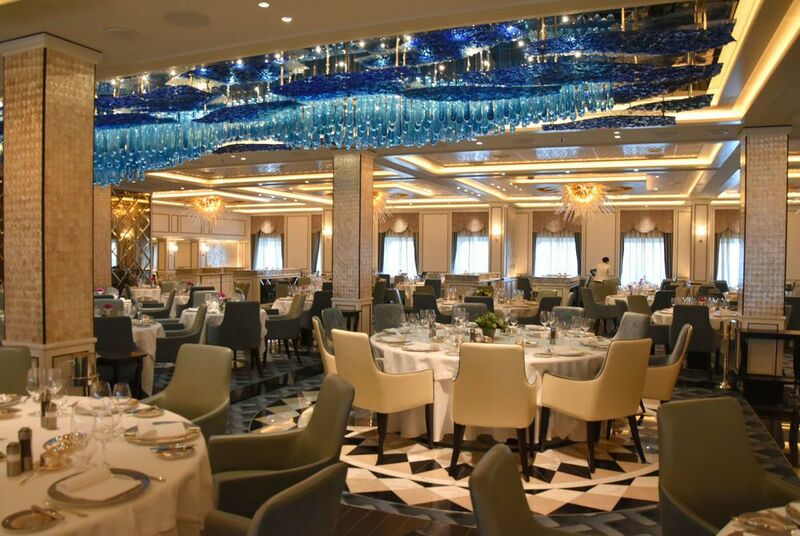 That evening we dined in Compass Rose, the main dining room on board Seven Seas Explorer. 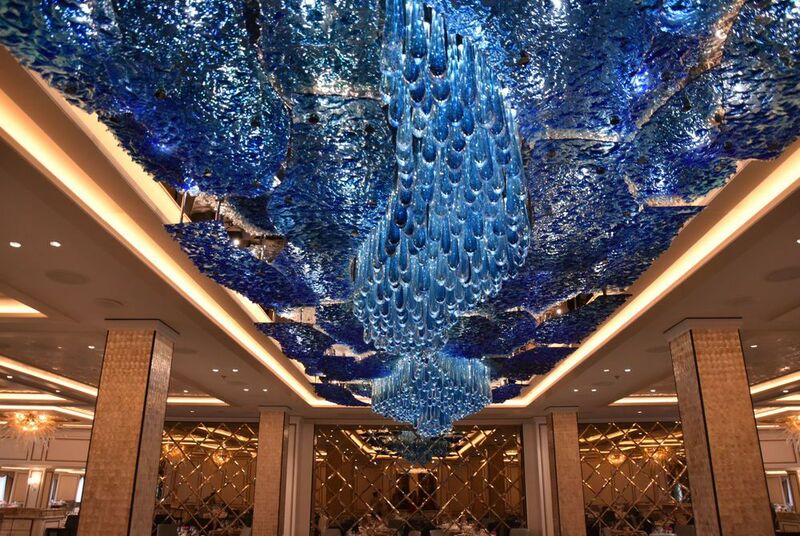 This is the largest dining room in the fleet and is dominated by a stunning blown-glass blue chandelier that certainly draws your attention. The room is decorated in tones of creams and grey, and is light and airy, with other feature chandeliers positioned around the room, adding a touch of elegance. This room has a real wow factor and the food and service match. I ordered a filet mignon with peppercorn sauce. The food choice was very extensive with a wide range of “always available” dishes (steaks, fish, chicken and vegetarian options) on one side of the menu and on the other the dishes of the day. My steak was cooked to perfection and utterly delicious. The accompanying red wine was full bodied and the sommelier kept my glass topped up. All drinks are included in the fare, and there was a choice of three different reds and whites to choose from. After dinner we headed to the Observation Lounge for a night cap or two. In this room they have a pianist tinkling the ivories and a few of our fellow guests were up jiving away to the more up-tempo numbers! Then it was off to rest as we had a full day tour to Florence the next day.